People who suddenly go off alcohol usually have alcohol intolerance. Learn the causes, what to do and similar stories from others to handle it better. If you have suddenly gone off alcohol because of intolerance or sudden allergy to alcohol, your body is trying to tell you something. When you drink alcohol you experience the effects in many different body systems including the liver, brain, nervous system, and even your skin. When you drink large amounts for long periods of time your body is affected in many ways and developing an intolerance is not uncommon. Why Have I Suddenly Gone Off Alcohol? People who suddenly go off alcohol experience one of two things: either an allergic reaction or loss of production of an enzyme that helps you break down alcohol. An allergic reaction to alcohol is usually an allergic reaction to something the drink is made from not the actual alcohol itself. This could be things like sulfites (preservatives), the grain used, the fruit used, or other chemicals used in processing. Allergic reactions can also be caused by histamines that develop in the fermentation process. If you have gluten intolerance (celiac) any wheat based drinks like beer will give you a reaction. An actual intolerance to alcohol happens because you don’t have the right enzyme to filter the alcohol out of your body. This is genetically common to Asians, but can happen to anyone. This enzyme is known as ALDH (aldehyde dehydrogenase). It is made by the liver and breaks alcohol down into a substance like vinegar. If your body starts making less of this enzyme, you may develop a sudden intolerance to alcohol. If you can’t break the alcohol down, it stays in your bloodstream and can be toxic. 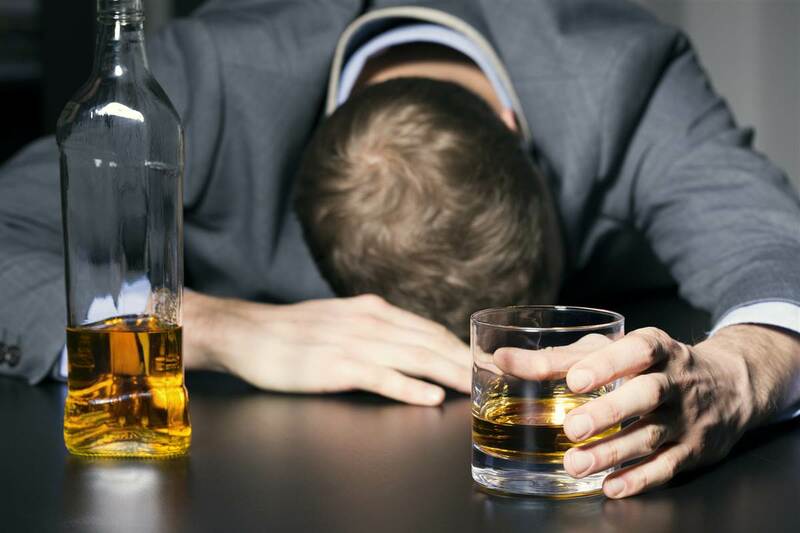 Sometimes if you suddenly go off alcohol, you may have a health condition that needs evaluated by a doctor. For instance, Hodgkin lymphoma causes pain after drinking. Suddenly Gone Off Alcohol: What to Do? The doctor will ask you about your symptoms and which alcoholic drinks cause them. The doctor may ask about a history of allergies in you or close family members. You will also be examined physically to look for signs of conditions that may cause alcohol intolerance. You may be tested for allergies to grains or fruits. This is usually done with a pin prick on the skin with allergenic substances and the doctor watches for a local skin reaction. Your blood may be tested for allergic antibodies called, immunoglobulin E. These levels are higher with certain allergenic foods. They aren’t very accurate but can be helpful. You may also be tested for levels of ALDH, the enzyme that breaks down alcohol. Avoid alcohol or the alcoholic drinks that give you symptoms. Try an over-the-counter antihistamine to reduce milk symptoms like itching, hives or flushing. Severe reactions are a medical emergency. If you know that you are allergic, use a medical alert bracelet. Your doctor may need to give you an EpiPen (epinephrine injection device) if you have had a severe reaction. If you know what your allergy is, check the labels on alcoholic beverages to see what they are made from. Look for sulfites, grains, fruits, and nuts used to make the drink.